REALIGN YOUR BODY AND MIND AS ONE. 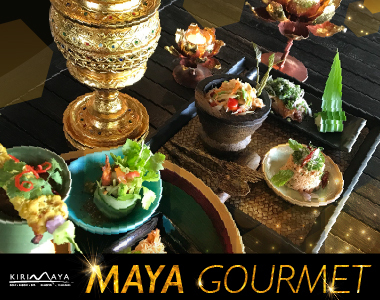 The luscious oasis of serenity, MUTHI MAYA, where you can reconnect with your inner-self once again. Break away from the city’s hustles and bustles, where lives are faced with hectic routine day after day. It’s now the perfect time to reward yourself a quiet time for reflection; just you, yourself and the beautiful tropical greens of world heritage, Khao Yai. From something to nothing and vice versa, listen to your inner calling. Undress the illusion substance encrusted on the surface of your mind. Cherish nothingness. AN INSTANT ESCAPE FROM CROWDED CITY LIFE. A five-minute or 2.5-kilometer drive from Kirimaya, “MUTHI MAYA” offers an instant escape from crowded city life. Guests will find themselves indulging in the chic elegance of contemporary living blended seamlessly with natural beauty. In an exquisite community that embraces nature, MUTHI MAYA harmonizes with the forest and surrounding mountains and becomes a part of Khao Yai’s breathtaking panorama. Its outstanding open architecture complements its surroundings and captures the essence of the natural living experience.